› David Ortiz › Are Ticket Prices for David Ortiz's Final Home Games Comparable to Derek Jeter's? For the last 14 years, David Ortiz has shined as the heart and soul of the Boston Red Sox organization, helping to lift the Curse of the Bambino in 2004 and following up with two more World Series titles in 2007 and 2013. The 40-year-old slugger will call it quits following the 2016 season as he puts an end to a prolific career that will likely be commemorated in Cooperstown before long. Big Papi's retirement trail has followed a similar path to that of Mariano Rivera and Derek Jeter - announcing his plans before the end of his final season - and excitement has been building since he revealed his intentions last November. It's no surprise, then, that fans will be paying big prices for tickets to Ortiz's final games, but just how comparable are his prices to that of, say, Jeter's final games, which set record price points back in 2014? Jeter's final game sent prices skyrocketing on the secondary market two seasons ago. Tickets remained affordable over the first two games of the Yankees' series against the Orioles, with fans able to get into Yankee Stadium for under $10. However, the Captain's swan song game posted a mammoth $768 average, easily making it the most expensive regular season game that season. The cheapest ticket was listed from $259. He made that night worth the price, too, going 2-for-5 with a game-winning single in the bottom of the 9th inning. 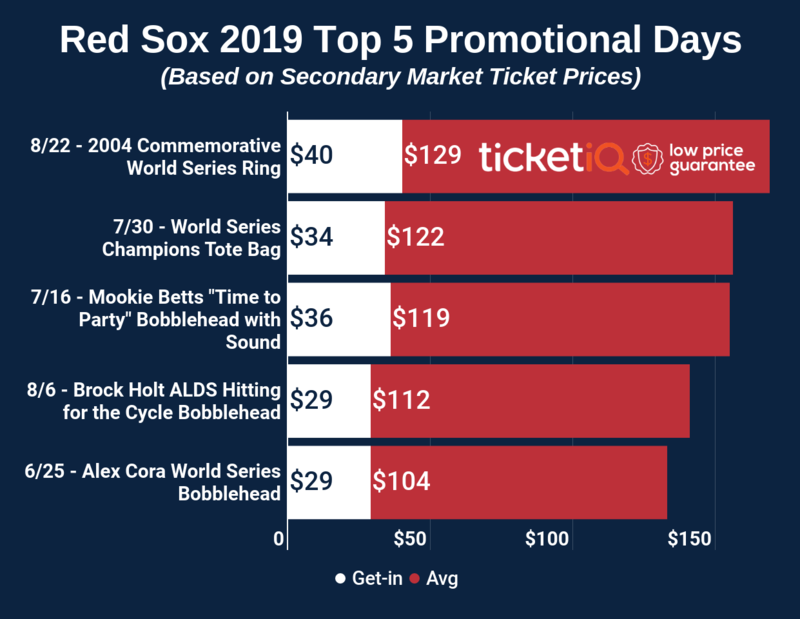 In Boston, this weekend's series against the Blue Jays is posting modest prices compared to that of Jeter's last games. Friday's game will be the cheapest to attend, with tickets averaging $170 and the get-in price listed from $67. If planning to be at the final regular season game on Sunday, tickets now own a secondary market average of $332 and the cheapest ticket starts from $142. Ortiz won't come close to posting the demand Jeter saw in his final home game, but there is one factor that separates the two stars' respective curtain call games - the postseason. The Yankees finished the 2014 season at 84-78, failing to clinch a playoff berth for the second consecutive year and only the third time in Jeter's prestigious career. The 2016 Red Sox, however, are poised to make a deep run this October, winning the AL East division title while exhibiting perhaps the most feared offense in Major League Baseball. So while Sunday's game against the Blue Jays won't officially be Papi's final game, it's important to note just how big resale ticket demand is for his last regular season game. And if the Sox dance to a Fall Classic berth, fans can expect to start paying a whole lot more to watch Ortiz ride into the sunset with the Commissioner's Trophy in hand. For the best deals on Red Sox tickets this weekend and through the postseason, download the TicketIQ app. As the only engagement-based loyalty program in the marketplace, the TicketIQ app helps fans save an additional 10% on all IQ Certified listings. Download the TicketIQ app and start saving today! How Do Ticket Prices for A-Rod's Final Game Compare to Mariano Rivera & Derek Jeter?